Born from a desire to create exceptionally roasted coffee, Speakeasy Coffee Company is dedicated to doing just that. From our single origins to our selection of blends, our roaster has crafted each one of our offerings to taste perfect in your cup. Many of the coffees we offer come from smallholdings (family owned farms) & co-ops and have been purchased at an above-fair-trade premium. When you purchase Speakeasy Coffee you can be sure that the farmers & producers have been paid a living wage. Our coffees are hand roasted in small batches. 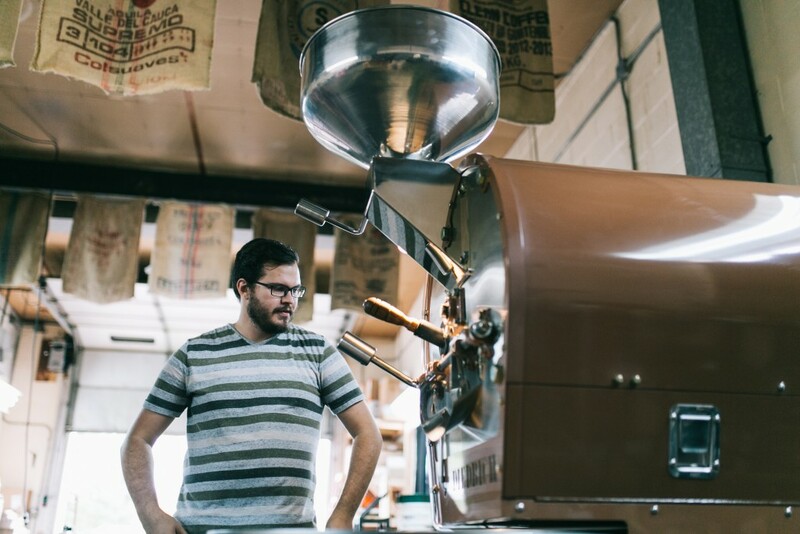 Small batch roasting allows for nearly complete control over the roasting process and is ideal for providing the consumer with the freshest coffee possible. We take pride in the fact that the coffee being delivered to your door was roasted just a short time before. For as long as I can remember, coffee has been an important family ritual. There is something undeniably special about sharing a finely brewed cup with family and friends. The smell of freshly ground coffee is enough to gather everyone around the table in great anticipation. Some of my closest friendships have been developed in local coffee shops. The community that is created around coffee is often quite tangible. There is something very satisfying about being immersed in an industry that brings happiness to many people around the world. It is for these reasons that I have dedicated much time and energy to create exceptionally roasted coffees and to offer them to you. Please take a moment to explore Speakeasy Coffee Company and learn more about who we are and the coffees that we offer.